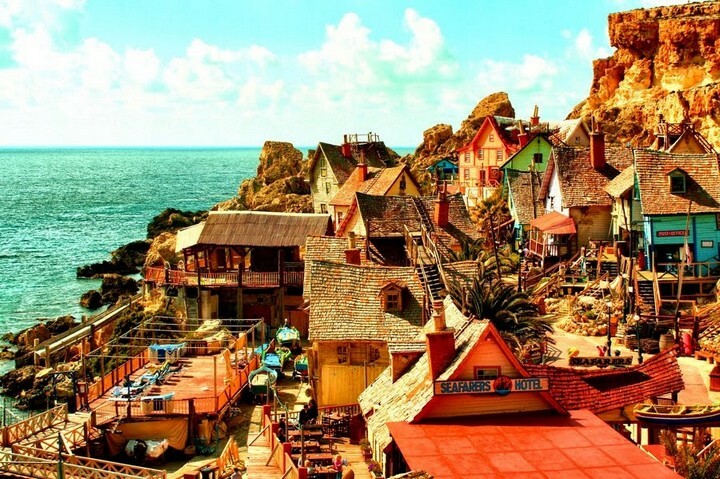 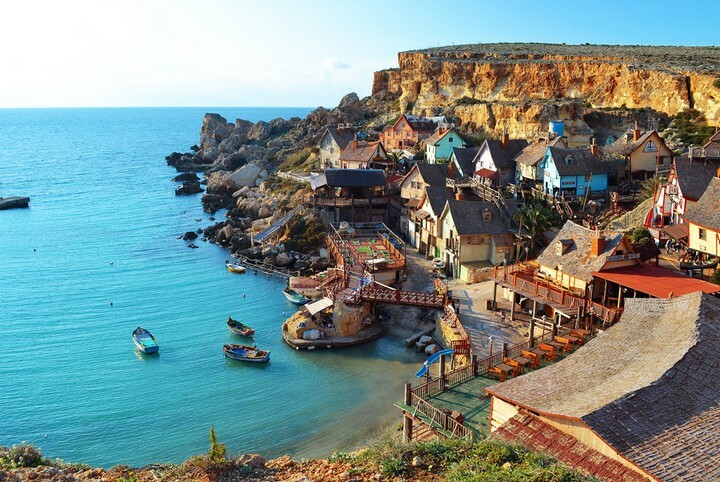 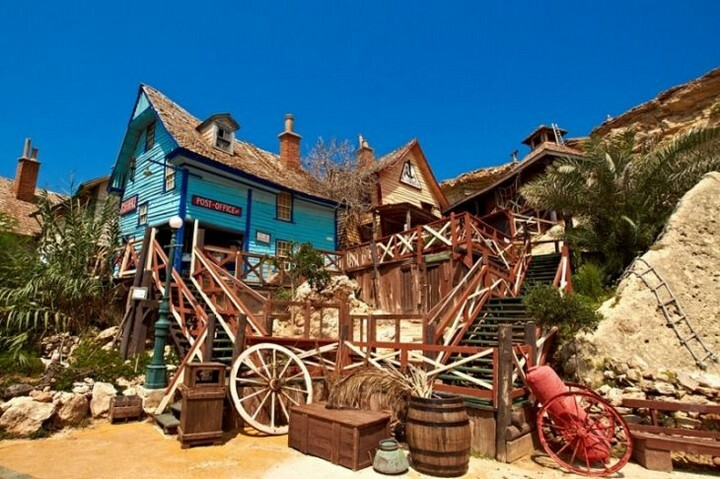 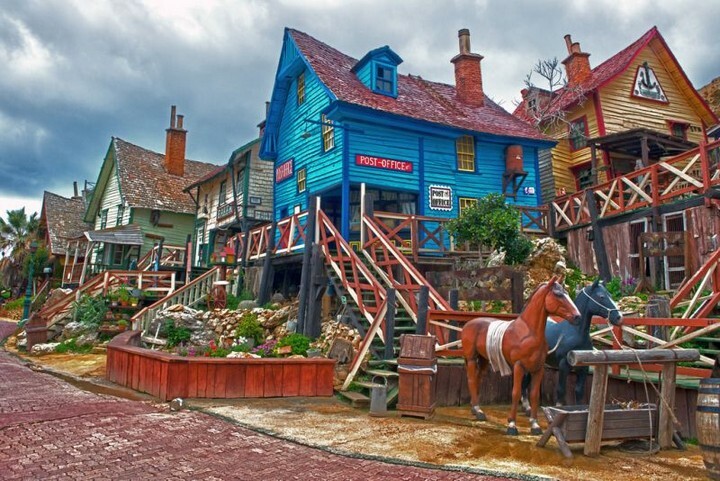 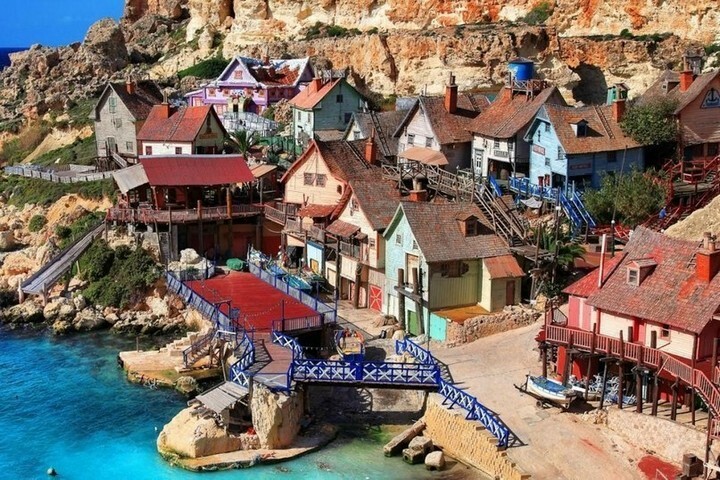 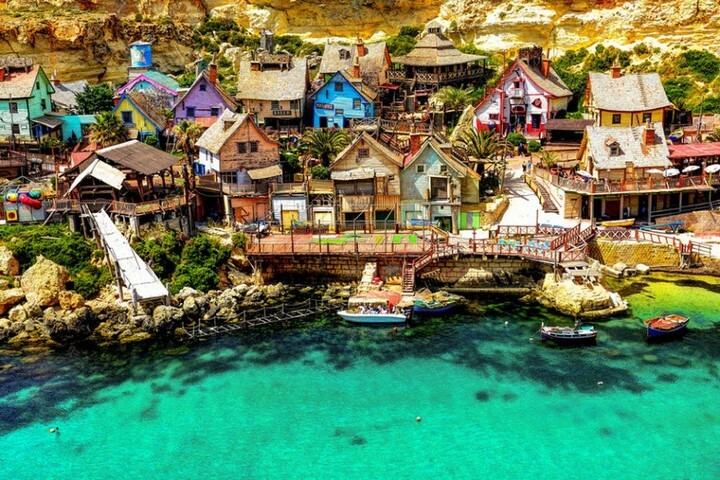 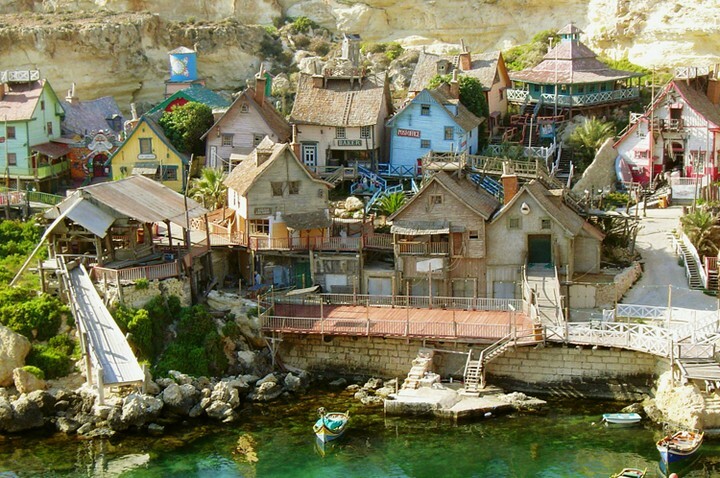 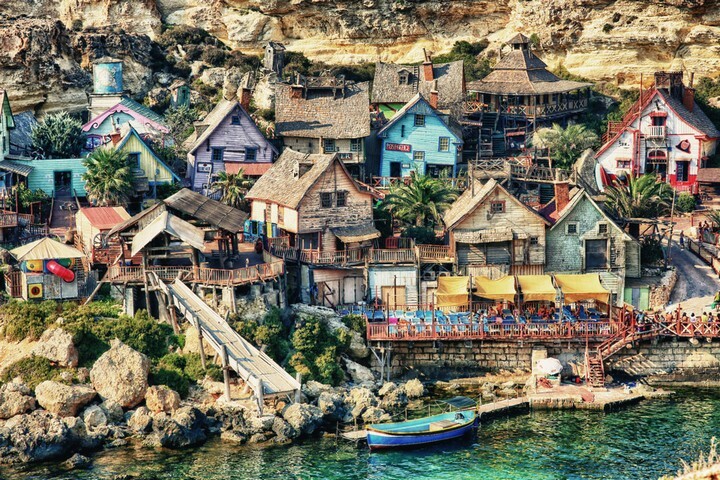 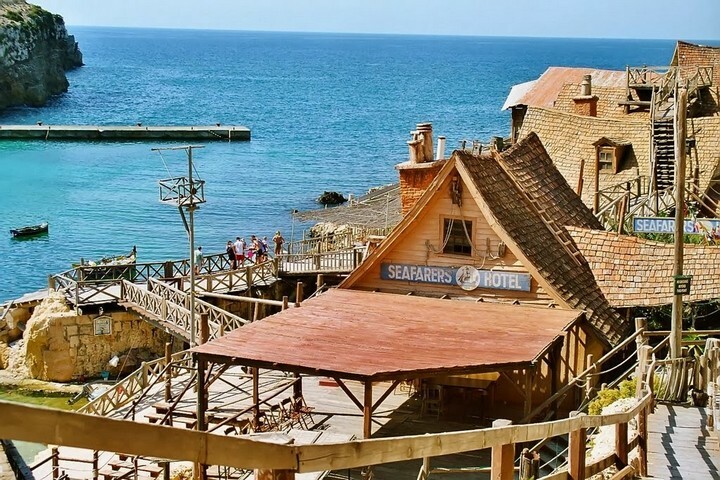 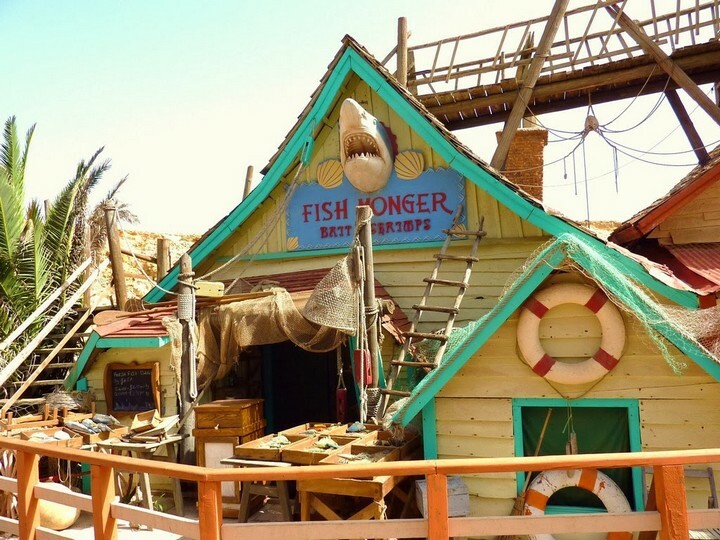 Popeye Village or Sweethaven Village (as it is called in the movie Popeye), is a remote group of rustic colorful wooden houses situated on the Mediterranean island of Malta, two miles away from the Mellieħa Village. 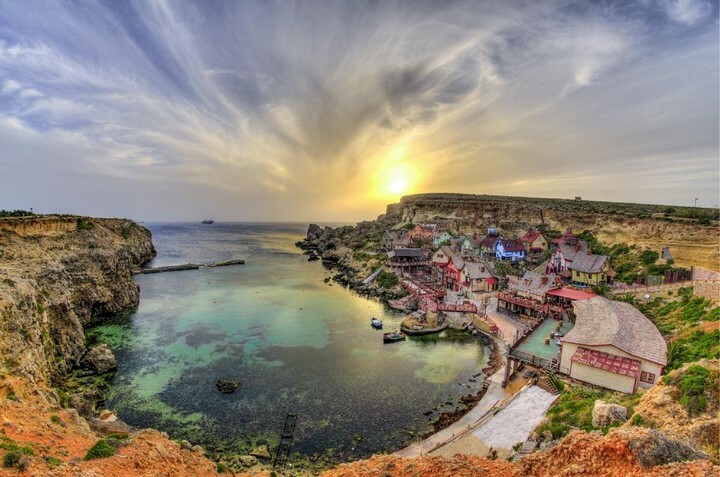 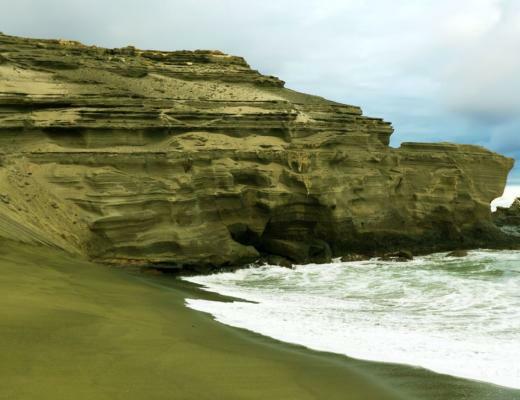 Malta is an independent European state composed of three islands located only 80 km south of Sicily, Italy. 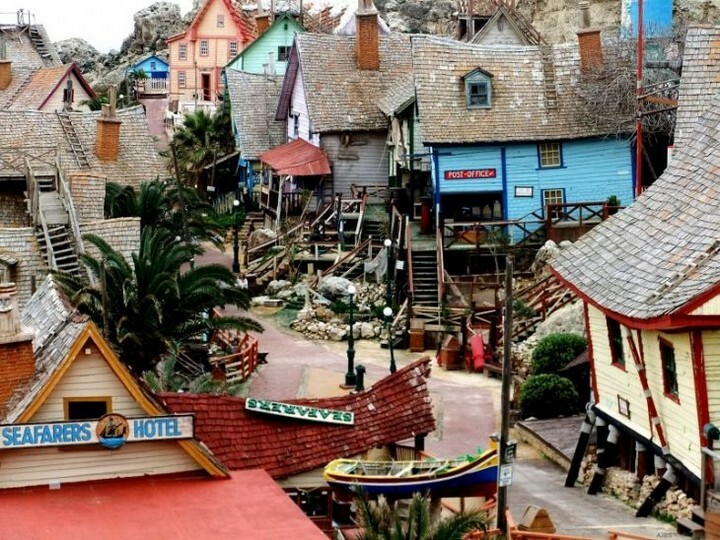 The village in the photos below is the film set that was especially built between 1979-1980 to host the well known “Popeye the Sailor Man”, a cartoon created by Elzie Segar in 1929. 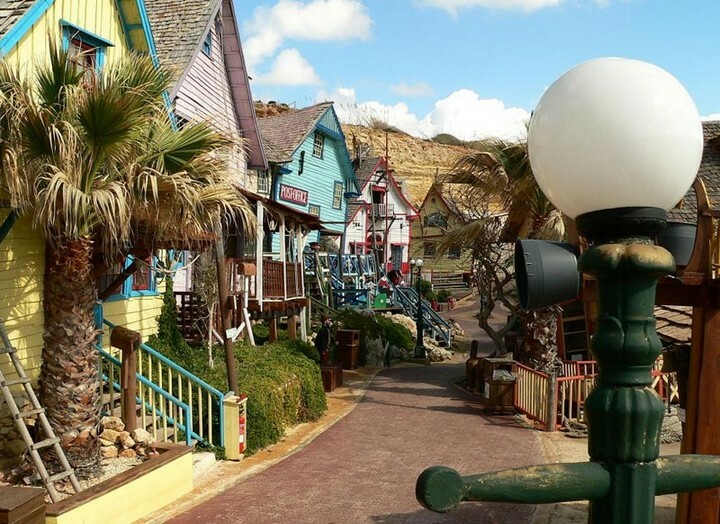 Today, the 35 years old village is still alive, open all year long for Popeye enthusiasts and for children of all ages in search of a glimpse of their childhood. 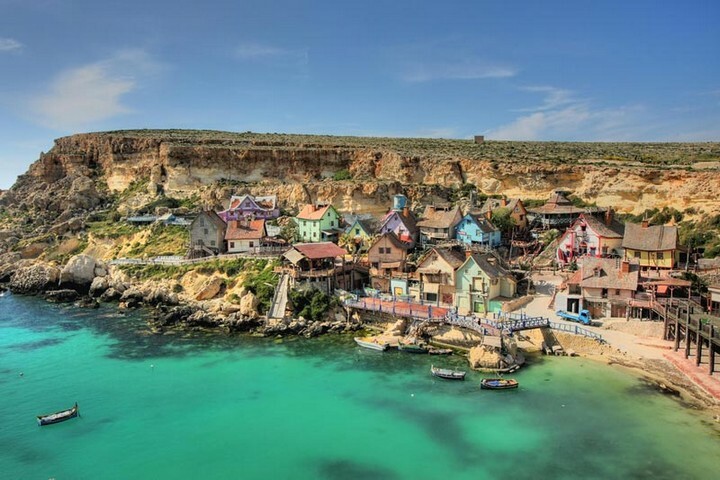 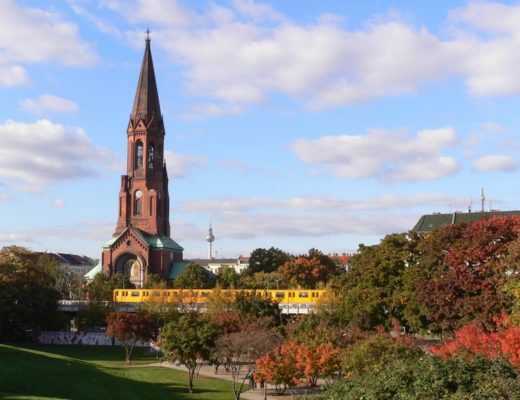 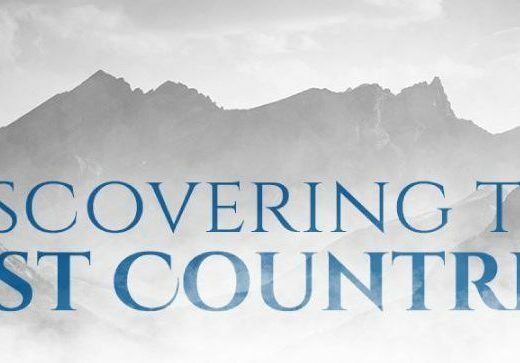 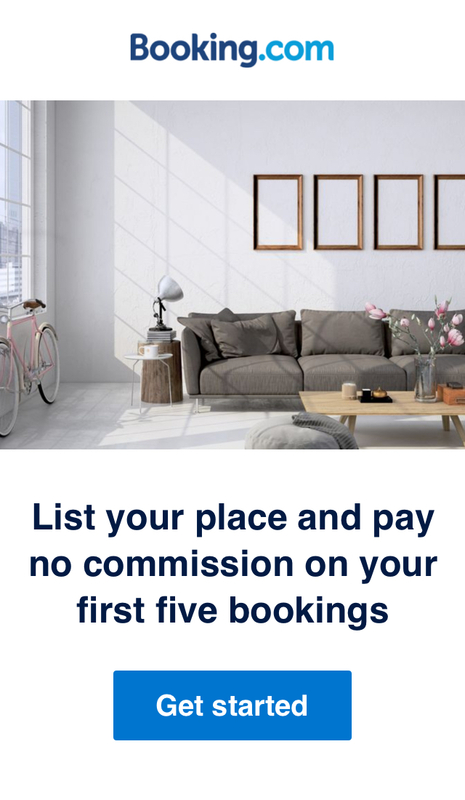 There are numerous attractions in the village such as filming experiences, boat trips, water trampolines, sun bathing decks, beach lido, silver smith demonstrations, food events or wine tastings.